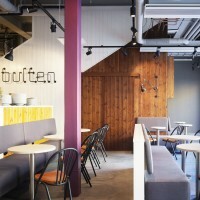 Moodus have designed a coffee shop in Hornstull, Stockholm called Kafé Bulten. 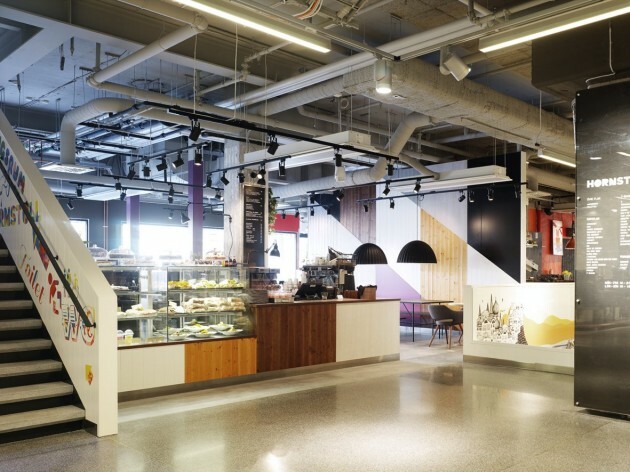 Named after the old block where it’s located, the coffeeshop Kafé Bulten is now a central spot in the new mall Hornstull, Stockholm. The overall ambition from the property owners is to achieve a commersial area full of life and diversity, where the design of the mall is not to overglow the expression of the boutiques, coffeeshops and restaurants. That way they want to capture the spirit of Hornstull, a place looked upon as a creative melting pot in Stockholm. 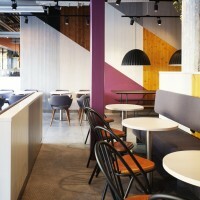 With that in mind we created the interior concept for Kafé Bulten. 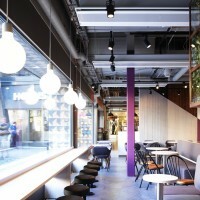 When visibility is a key factor in any commercial business, we found that to be a challange in this type of environment. 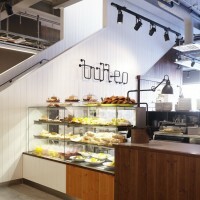 To be able to attract the customers attention was a cornerstone in designing the concept. 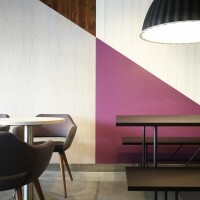 Therefore we have created an interior with a distinct character, making it easy to interpret. 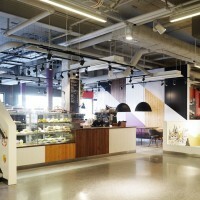 The strong graphical pattern mixed with different structures in the materials used, along with high quality furnitures and products, makes Kafé Bulten a confident player in this mall.